Atik GP for guiding and planetary imaging or CMV20000 Ximea camera for insanely big lunar/solar shots. Atik announced 8-bit planetary camera equipped with ICX445, while Ximea announced cameras with big CMOSIS sensors that can be used for lunar/solar imaging if your telescope has big enough corrected imaging circle. If you are tired of making Sun or Moon mosaics from long focal lengths and you aren't afraid to spend money then Ximea has a monster camera that can solve your problems. The company announced two cameras with CMV12000 and CMV20000. The second one is a big 35 mm format 5120x3840 sensor capable of doing 30 FPS. Even among DS imaging 35 mm it's a lot. CMV12000 is slightly smaller. On 35 mm frame you can fit the whole Sun up to around 2500 mm of focal length. 2-4 panel Moon mosaic can be done at even longer focal lengths (like 5000-6000 mm). Note that this is a very specialized and expensive camera. In theory it could be used for such demanding solar/lunar imaging. Note that your telescope must provide corrected field across the CMV12000 or CMV20000 sensor. Lets go back to normal cameras. 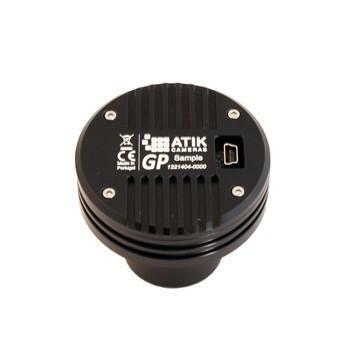 Atik announced Atik GP - a planetary and guide camera. It's equipped with ICX445 Sony CCD, so it's a direct competitor of Point Grey Chameleon. It's priced at 420 EUR in Teleskop Express. ASI120MM is 320EUR, QHY5L-II 290 ERU and PGR Chameleon 295 net EUR in PGR Shop. Comparing to Chameleon we won't see many differences. The case is metal not plastic, the camera thread is T2 and not C/CS. Atik GP has no ST4 port, which is surprising and makes it harder to use as a guider. ICX445 allows up to 22,5 FPS at full frame and 30 FPS for a smaller sub-frame. Max framerate for full frame in Atik GP is unknown (18 FPS in Chameleon). For imaging we will get GPAcquire application, but at the moment list of its features is unknown (how does it compare to for example FireCapture). Comparing to Micron CMOS based ASI120 or QHY5II-L the Atik GP camera will be good for imaging Sun with solar telescopes - no problem with strong and not removable by tilting Newton rings. For lunar/planetary imaging the camera is much slower than competition. It also lacks ST4 while those two have it. Atik GP looks like a good move into planetary imaging, but it still lacks some features. 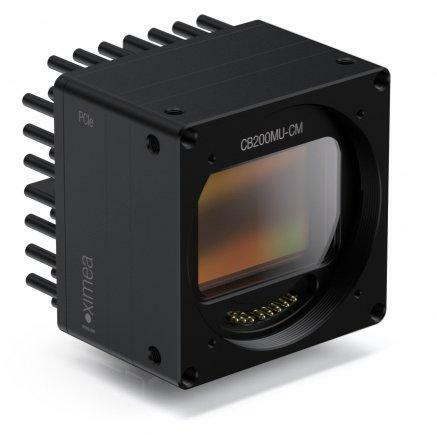 It's quite surprising that none of the DS imaging companies like Atik, SBIG, FLI, QSI or Apogee don't have a fast 8-bit planetary/guide camera that could compete with its machine vision counterpart from companies like Point Grey, Basler, IDS, ZWO and other. On the other hand planetary cameras evolve much quicker, and big imaging companies get access to latest sensors first. A hot selling camera may be obsolete next year replaced by one with a better sensors.